London is one of 16 areas that has been sent a "final warning" by the European Commission for repeated breaches of legal limits. Sadiq Khan has announced 10 new Low Emission Bus Zones to tackle toxic air. The new routes include Edmonton, Stratford and Haringey, bringing the total number of Low Emission Zones planned to 12. Can London meet its air pollution targets? There are calls for the Transport for London to do more to improve the capital's air quality, amid concerns that car manufacturers have been manipulating diesel emission's tests. The London Assembly's Environment Committee will today meet with officials from Transport for London to investigate whether the VW scandal is stopping London from reaching its air pollution targets. 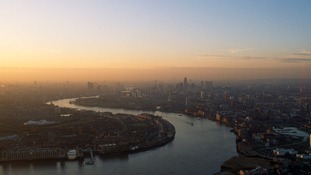 Read: London's toxic air How is your borough affected? High levels of air pollution are to hit central London today. The warm weather is pulling hot air in from France, bringing dense smog with it. Older people and those with asthma or lung problems are being urged to take extra care. A new Parliamentary report into air pollution recommends that more needs to be done to protect people from harm. "This report is a devastating indictment of a Mayor and Government who have failed to tackle one of London's biggest environmental and public health challenges. "Having ignored this problem and blustered his way through for six years, this report finally debunks the Mayor's claims to have cut air pollution. The report recommends a ban on building schools, hospitals and care homes next to air pollution hotspots caused by road traffic. The government made the decision after air pollution levels exceeded safe levels for 5 days in a row in the French capital. French experts say the move - last used in 1997 - does have an impact on improving air quality. Public transport was made free of charge on Friday and today in an attempt to encourage Parisians to leave their cars at home. The 50 most polluted roads in the UK are all in London. Even number 50 on the list is two and a half times the legal EU level. Since the Mayor was elected, NO2 emissions have reduced by 20 per cent and the number of people living in areas exceeding NO2 limits has halved but he fully recognises the need to take further action. This includes the introduction of the world's first Ultra-Low Emission Zone in central London from 2020, tougher requirements for taxis from 2018 and a £20million fund to tackle local problem areas. These most ambitious measures will deliver enormous economic and environmental benefits for central London and will make this global city an even better place to live, work and visit. The toxic gas nitrogen dioxide (NO2) can lead to respiratory disease and can cause the lining of the lungs to become inflamed. The government is the subject of legal action after failing to deal with the high level of the toxic gas in the country's cities. Most British cities have plans to reduce traffic fumes to within the legal limit by 2020, however London has insisted that it could not meet the NO2 targets set for it in 1999 until at least 2025. London has the highest levels of NO2 of any European capital city and the UK has the highest proportion of zones breaching legal limits. Other highly polluted areas include Oxford Street near Marble Arch, which registered at 150 micrograms, and Cockspur Street near Trafalgar Square on 138 micrograms. The fourth and fifth locations were Park Lane and Knightsbridge - which measured 135 and 134 micrograms respectively.